3 years agoWho liked this? Thanks! I found the Urban Bar US website, so I was able to cross reference where you got yours with their site here. The glass looks like a good one. @ajjarrett here is a comparison of the 2 glasses next to a standard Glencairn. They all have a 25ml measure of Craigellachie in so you get an idea of size. I poured the whisky back into the bottle afterwards. EDIT - one good thing about the Glen Spey and mini Glencairn is that if you find your pours are getting on the heavy side they discourage that a bit as they're a bit smaller so it looks like there's a bit more whisky in there. 14 days ago 3Who liked this? @Wierdo You're such a whisky-tease. Pour yourself three glasses, and then back in the bottle. I suspect the Craigellachie was just being mistreated. 14 days ago 2Who liked this? An interesting gift I received from my niece, not glass, but it is a drinking vessel. It is called Oak Honey Whiskey Tumbler by NiSNAS. THey are rather expensive and not something I would buy for myself. It was a lovely gesture on her part. Some maintenance is required. @ajjarrett I used Glencairn glasses until these were given to me as a gift, and I haven't stopped using them since! This glass is filled with Laphroaig 10, my treat for enduring a long work meeting today. 14 days ago 5Who liked this? @archivist, a blue sky and green yard, that is beautiful! I envy you. Perhaps in a month our grass will be green, until then a bit of Laphroaig will help us endure. @ajjarrett Thanks for the link, I ordered two just to see how they compare as I'm very curious - they look like they have a little more heft and I kinda like that - I always felt like my Glencairn was a little fragile/thin for my liking. Far as I know, no one is selling the Tu'ath glass here in San Francisco, I called a few shops. I wish you luck with it. I am quiet happy with mine. You are correct, the Túath glass is a bit more substantial than the Glencairn, which is one reason why I wanted to get it. I will still use the Glencairn, but as an alternative I think I will go with the Túath. @Nozinan Yes, the shipping cost is a bit much to have it sent to Canada. I was wondering if you can see if that rate applies to several glasses and then go in it as a group to share the cost. If that doesn’t appeal, maybe finding someone here to send it to, and then acquiring from that person later will be a good choice. @ajjarrett Another issue is that things with a value over $20-25 get slapped with import duty, so a group purchase isn't that lucrative. However, I have identified a potential solution, as long as it takes less than 2 weeks for shipping..
Ouch! Well, good luck with your solution to the problem. Let me guess, take a trip to Ireland and enjoy a whiskey tour and stop by and get some glasses while you are there? @ajjarrett No, I ordered them from the place you suggested, I just hope it takes less than 2 weeks to ship. Hope you get them soon. I look forward to hearing/reading your thoughts about them. 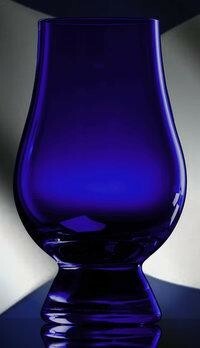 @ajjarrett I also ordered some really cool looking blue glencairns. They will be key to my enjoyment of JW Blue (LOL). A good way to enjoy the JW Blue. 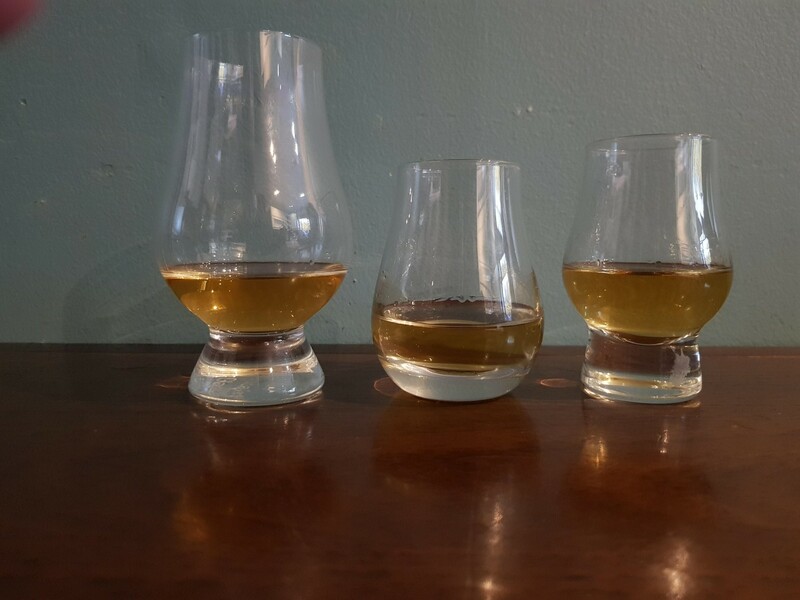 Are the Glencairn so dark that you could do a blind tasting? @ajjarrett I'll have to get back to you on that. They just looked cool on the website. I don't know how much drinking I'll do from them. Even though colour is not a part of taste, part of the enjoyment IS seeing the spirit in the glass. I agree. I guess a blind test would make for a fun thing to do with friends or if you decided to do an online review and post it on YouTube. I took the Kentucky bourbon trail glasses out for a spin this evening. I think they’re really very nice to look at. Very pleasing. 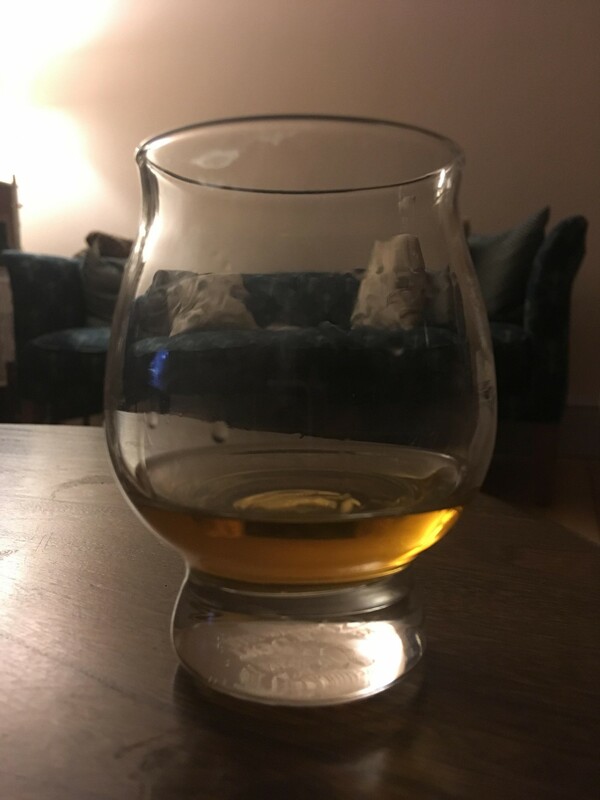 I get more on the nose than from a Glencairn - the nose is wider so funnel affect may be less but the bowl is that much bigger, so whatever the science behind the bowl /funnel thing, these glasses suit my own taste a little better I think. I haven’t compared to a snifter yet. The other thing to consider is they hold substantially more than a Glencairn or traditional nosing glass and I like that a bit less as a larger measure is needed to make it look and feel like you have a drink in your hand. All in though, I’m happy to add these to the collection. 11 days ago 4Who liked this? @dougwatts this is my go to glass for bourbon. It must be psychological but I find most bourbons taste best in this glass. I understand there was a recall a while back, but i’ve Never had a problem with mine. 11 days ago 2Who liked this? I came across this picture the other day. Any opinions? @DaveM, I think whoever bought these will have smoked too much (turkey) and gone (nose) blind. @Nozinan, how many did you buy?! ....and will you have regained your senses for our tasting at month end? They are very pretty. When our wives, or husbands, see them we'll all eventually have some as gifts. @DaveM, @paddockjudge those glasses look like they should be used at religious shrines for votive candles. 6 days ago 1Who liked this? @Victor, just add liquid Wick (Old Pulteney). @Victor Perhaps a good color for blind tastings? ?